What is a tenancy in common (TIC)? The acronym TIC, which stands for tenancy in common and tenants in common, and also sometimes referred to as co-tenancy, refers to arrangements under which two or more people co-own a parcel of real estate without a “right of survivorship”. This type of co-ownership allows each co-owner to choose who will inherit his/her ownership interest upon death. By contrast, the type of co-ownership called joint tenancy requires that each co-owner’s interest pass to the other co-owners upon death. The broader terms fractional ownership, shared ownership, and co-ownership encompass all arrangements involving two or more owners, including tenancy in common and joint tenancy. The terms co-tenancy, tenancy in common, tenants in common, and TIC, can be confusing because they are used interchangeably to describe a variety of co-ownership arrangements with very different characteristics and purposes. The tenant in common issues critical in one context are often completely irrelevant in another. To cut through the confusion, create categories and subcategories for different types of shared ownership arrangements. Start by distinguishing between TICs that assign each co-tenant usage rights to the co-owned property, and TICs that do not. Within the world of TICs without assigned usage rights, there are: (i) those that come together informally among groups of family members and friends, sometimes through inheritance, and hold property for investment purposes, and (ii) those that are organized by syndicators or sponsors to be essentially passive investments and repositories for the proceeds of 1031 tax-deferred exchanges. Within the world of TICs with assigned usage rights, there are: (i) space-assignment co-ownerships (or SACOs), the type discussed in this article, which assign particular houses, apartments, rooms, offices, stores, or storage spaces to each owner, and mimic a condominium; (ii) time-assignment co-ownerships (or TACOs), commonly referred to as today as fractional ownership arrangements or private residence clubs, which assign particular usage times or intervals to each owner and mimic timeshares; and (iii) equity shares where one or more owner gets usage rights, and one or more other owner is purely an investor. This article will focus on tenancies in common that look and feel like condominiums or other real estate subdivisions, and are most commonly formed for multi-unit residential properties such as apartment buildings, townhouses, and detached single-family residences located on the same lot. Each co-tenant has the exclusive usage right to use or derive income from a particular apartment or house. This type of tenant in common can also be used for office buildings, storage facilities, or other commercial property, where each co-tenant has the exclusive usage right to use or derive income from a particular suite or space, for undeveloped land, where each co-tenant is permitted to building and occupy a home on a particular space, and even for a single house off-campus apartment, where each co-tenant has his/her own bedroom but the kitchen, living room and other areas are shared. What is the difference between a SACO TIC and a condominium? In a condominium or other traditional subdivision, property has been legally divided into physical parts that can be separately owned. Each condo or lot owner owns a particular area of the property that is delineated on a map recorded in the public records, and has a deed which identifies the area which is individually owned. By contrast, TIC owners own percentages in an undivided property rather than particular units or apartments, and their deeds show only their ownership percentages. The right of a particular SACO TIC owner to use a particular dwelling comes from a written contract signed by all co-owners (often called a TIC agreement”), not from a deed, map or other document recorded in county records. The difference between physical division of ownership in county records (in a condominium) and an unrecorded contract allocating usage rights (in a TIC) is significant from both regulatory and practical standpoints, as discussed below. What is the difference between a TIC and a Co-Op? In a stock cooperative or co-op, a corporation, LLC or other legal entity owns the property, and the owners of that entity each hold shares of, or membership interests in, the entity, along with usage rights to a particular apartment (often but not always expressed in a document called a proprietary lease). In most locations, a stock cooperative is legally recognized as a form of subdivision, and this recognition brings co-op ownership within the scope of most local subdivision restrictions and regulations. As a result, laws that restrict or prohibit the conversion of apartment buildings into legal subdivisions such as condominiums generally impose those same restrictions and prohibitions on the conversion of apartment buildings into stock cooperatives. In practice, this means that if you can convert to a stock co-op, you can also convert to a condo, and you would always choose the condo conversion over the co-op conversion because condos are easier to sell and finance. On the other hand, if it is burdensome or impossible to convert to a condo, the same difficulties will apply to a stock cooperative conversion, but will not apply to TIC conversion. That is why people form tenancies in common rather than cooperatives. Why have TICs become so popular? As the price of real estate continues to rise, and communities adopt ever-stricter growth and condominium conversion restrictions, more and more people are turning to tenancies in common and other non-traditional co-ownership structures as a way to maximize their buying and selling power. These arrangements lower prices and increase choice for buyers by allowing them to pool resources and buy more real estate than they otherwise could or would, while agreeing among themselves on an allocation of rights and responsibilities so each buyer does not end up with more than he/she needs. At the same time, tenancy in common arrangements increase sale prices and marketing options for sellers by allowing them to sell fractions of their property to buyers for prices that generally add up to more than what the seller would receive from a single buyer. The popularity of tenancies in common has been further enhanced by the 2002 introduction of fractional loans that allow co-owners to have individual mortgages, substantially decreasing the risk of co-ownership. When the first condo-like TICs were formed in the early 1980s, they made sense in only a few locations, including San Francisco, Berkeley and Santa Monica, where a combination of rent control, the difficulty of obtaining approval for new construction, and limits on condominium conversion, together caused the price of condos to be significantly higher than the per-unit price of apartment buildings. Today, nearly 30 years after the first TIC conversions, these economic conditions are present in numerous cities and towns throughout California and in several other states. TIC conversions in Los Angeles, Orange and San Diego Counties became somewhat common in the mid-2000, paused in the aftermath of the 2008 financial crisis, and have re-emerged strongly in the past 24 months, especially in Santa Monica, Hollywood, West Hollywood, Laguna Beach and Venice Beach. Central California tenancy in common activity followed a similar pattern, with current TIC conversion volume centered in Santa Cruz, Capitola, Pacific Grove, Watsonville, and Monterey. In Northern California, TIC conversion activity has remained strong and consistent since the late 1980s, with the most conversions occurring in San Francisco and Oakland, followed by Sausalito, Mill Valley, Tiburon, San Rafael, Petaluma, Santa Rosa, San Mateo, Redwood City, Mountain View, Palo Alto, and San Jose. In addition, there have recently been relatively large TIC projects in Plumas and Mendocino Counties. Many of the newest TIC conversions have involved single-family homes. Outside California, TIC conversions are occurring in New York City/Brooklyn, Boston/Cambridge, Seattle, and Portland. Why not form an LLC or limited partnership instead of a TIC? Limited liability companies (LLCs), limited partnerships (LPs), and corporations are entities that can provide a variety of management and liability protection advantages compared with direct titled co-ownership arrangements such as tenancy in common. But for co-ownership groups who plan to occupy some or all of the co-owned property, the legal and tax disadvantages created by these entity structures generally outweigh the benefits. Specifically, under generally accepted interpretations of tax laws, owners of LLC memberships, limited partnership interests or corporate shares are not considered to own real estate (unless the entity qualifies as a stock cooperative), and therefore cannot claim the tax benefits of real estate owner-occupants such as the ability to deduct mortgage interest and property tax, and the ability to claim the $250,000/500,000 tax-free gain on resale. If the LLC, LP or corporation can be deemed a stock cooperative, it is likely to encounter regulatory barriers as discussed above. Can any building or lot be converted to a TIC? Unless TIC conversion is prohibited by applicable law (see discussion below), any building or lot can be converted to a TIC. A SACO tenancy in common conversion is possible for an apartment building, a vacant lot (to prepare it for future construction), a lot with multiple detached residences, an office or industrial building, or any other property category. This type of tenant in common arrangement has also been used for mobile home parks, marinas, farms, co-housing, intentional communities, communes, underground disaster shelters, and numerous other properties. Is TIC conversion legal everywhere? The legality of converting a property to SACO tenant in common ownership depends on local and state law, and thus varies from place to place. In most states and localities, there is no law addressing the legality of TICs, effectively making TIC conversion legal and the right to do it unconditional. In California, appellate courts have considered the legality of SACO tenancy in common conversions in a series of cases decided between 1986 and 2007. Each case struck down a different city or town ordinance or zoning regulation that attempted to limit or prohibit TIC conversion, largely on constitutional grounds. As a consequence of this line of decisions, there have been no attempts by local governments to enact new laws prohibiting or restricting tenant in common conversion since 2004, and most of the legal community believes that it is now settled California law that cities and towns are not permitted to ban or regulate SACO TICs. The upshot is that, under current California law, a TIC of the space-assignment type discussed in this article could be formed for any building (residential, commercial, or mixed use) in any location in the state. Neither the location of the building, nor its zoning, size, layout, age, unit mix or construction, matter from a regulatory standpoint. What legal restrictions apply to TIC conversion in California? California appellate courts have recognized a distinction between recorded and unrecorded documents assigning usage rights, and this distinction means that local laws restricting or prohibiting the conversion of apartment buildings into legal subdivisions such as condominiums do not apply to the creation of a tenancy in common arrangement so long as no document deeding or otherwise assigning usage rights is recorded in public records. Consequently, TIC formation does not require any filing or approval with local governmental agencies (such as counties, cities or towns). On the other hand, TIC conversion in California does require the approval of the California Department of Real Estate (DRE) if the property to be co-owned and occupied contains five or more units of which at least one is a residential unit. This approval requirement applies based on the number of units in the property, not the number of TIC interests to be created or sold. So, in the case of a five-unit apartment building, DRE approval is required even if the owner intends to sell only one TIC share. The DRE approval process currently takes 6-9 months to complete, and results in the issuance by DRE of a Public Report (often called a “white paper”). The Public Report contains extensive information and disclosures about the property and the TIC group, and must be given to all prospective buyers. Resale of TIC interests are generally allowed without a Public Report, but the rules defining what constitutes a true resale (as opposed to a sham designed to circumvent approval requirements) are strict. What is included in a tenancy TIC agreement? The goal in tenants in common agreement preparation should not be simplicity or brevity. A short agreement is unlikely to directly address the real-life problem that will cause you to need the agreement. Consequently, using the short agreement to resolve a dispute will require interpretation and extrapolation, processes that make dispute resolution more difficult, time-consuming and costly. A TIC agreement should be long enough to cover every important issue, well organized (including an index or table of contents) so that a needed provision can be located quickly and easily, and written in language that is understandable yet sufficiently nuanced to avoid creating ambiguity or loopholes. In the unlikely event that you ever need to use your TIC agreement, you will want to be able to find a section that directly addresses your problem and clearly provides a solution. A common mistake in creating a co-ownership agreement is postponing resolution of difficult issues (“we’ll just work that out later”) to avoid uncomfortable confrontations and preserve a transaction. The issues that seem most difficult to address are generally the most likely to lead to a dispute. Another common mistake is to assume everything will work out exactly as planned (particularly with regard to when people will occupy the property and whether and when they will sell). Housing plans are closely related to employment, health and domestic situations, and these regularly change in unforeseen ways. A good co-ownership structure is durable enough to adapt to dramatic changes in occupancy and ownership plans without being renegotiated, and certainly should never cause one owner to sell his/her home as a result of another owner’s life changes. Even a well-prepared TIC agreement should be used only in the event friendly relations among group members break down. While it is useful to have owners’ rights and duties well defined, relying on the agreement to dictate a response to actual events is unwise. Even the best agreement will rarely anticipate all circumstances, and applying a formulaic response that does not quite fit the situation may not reveal the best course of action. Such an approach encourages group members to adopt firm positions based on agreement interpretations, and an impasse may develop. A better strategy is to rely first on discussion. The goal should be to develop a consensus that all owners can accept even though some may believe that the agreement dictates a more personally advantageous decision. If a consensus cannot be reached, the TIC Agreement can provide a final resolution. How are TIC ownership percentages determined and what do they mean? There is little consistency in how tenancy in common ownership percentages (as shown after each owner’s name shown on the recorded deed or deeds to the co-owned property) are determined. In some groups, each owner holds an equal share, while in others the shares are determined by the relative value or square footage of the assigned areas of the property. The ownership percentages are often used for the allocation of certain shared expenses, most frequently insurance and common area maintenance, but it is important to note that there is no legal requirement that any expense be allocated according to ownership percentage. Many people incorrectly assume that SACO tenancy in common ownership percentages control owners’ resale prices, and/or division of proceeds if the entire property is resold or refinanced. In fact, a well-drafted SACO TIC agreement never allows ownership percentage to control resale or refinance proceeds allocation because such an arrangement would be unfair to owners who make wise investments in improving their space. An owner’s individual resale price should always be up to that individual owner and his/her buyer, and should never be determined or affected by his/her ownership percentage or by an appraisal of the entire property. In a resale or refinance of the entire property, proceeds allocation should be determined by an appraisal of the fair market value of each owner’s interest based on the qualities and amenities of the owner’s assigned areas. Historically, most tenant in common groups shared one or more apartment building loan(s) that were secured by the entire property. Under this “group loan” arrangement, the TIC agreement would specify the percentage of each loan that was owed by each co-tenant, each owner would contribute his/her share of each loan payment as part of his/her monthly dues to the group, and the group would make each payment to the lender. Beginning in 2004, several banks introduced programs under which each co-tenant has his/her own loan. Individual tenancy in common loans are secured only by one co-tenant’s percentage share in the property, meaning that one owner’s mortgage default does not imperil the other owners. This type of financing, now referred to as fractional loans or TIC loans, is now by far the most popular form of TIC financing, and is currently available from five lenders in Northern California, two in Central California, and one in Southern California. Yet another TIC financing option is individual mortgages carried by a seller or former owner, often in conjunction with an underlying loan that predates the tenancy in common formation. How do individual TIC mortgage loans (fractional financing arrangements) work? Individual tenants in common financing is separate loans for each fractional owner. Each loan involves a note signed only by the owner of a particular tenancy in common interest, secured by a deed of trust covering only that owner’s TIC share. If a particular owner defaults on his/her loan, the lender can foreclose on only that owner’s share. The foreclosed share is then sold, and the buyer acquires the defaulting owner’s interest. Unlike with group financing, none of the other tenancy in common owners are affected by the default or foreclosure. Individual tenancy in common financing is not the same as individual condominium financing, and does not turn a tenancy in common interest into the equivalent of a condominium. Since a TIC owner does not have title to a particular unit, an individual TIC loan cannot be secured by a particular unit or home. So just as TIC owners rely on a contract (the unrecorded TIC Agreement) rather than a deed for their right to occupy a particular apartment, tenancy in common lenders must rely on that same contract rather than their trust deed or mortgage to guarantee that they will be able to deliver those same occupancy rights to a foreclosure sale buyer and thereby generate enough sale proceeds to repay the defaulting owner’s debt. Individual tenant in common financing is not a new concept. Private lenders, especially sellers of tenancy in common interests carrying a portion of the sale price to supplement a buyer’s down payment, have used individual notes and trust deeds successfully for at least 30 years. More recently, developers of fractional vacation home projects have offered individual bank financing. Individual tenancy in common financing is also created automatically whenever title is held by multiple owners but only one of those owners signs the mortgage, a situation which has occurred with sufficient regularity to create a body of law related to foreclosure on partial interests. How does a TIC group loan work? Group TIC financing describes the situation when the entire tenancy in common owner group jointly applies for one loan with everyone named as a co-borrower. In this arrangement, which has now become quite rare in California but is still common in emerging TIC markets such as New York City and Boston, each tenant in common owner shares responsibility for the loan, and the TIC Agreement states what percentage of the loan each co-tenant must pay. As in a stock co-op,the TIC group loan monthly mortgage payments are made to the TIC homeowners association as part of the monthly homeowners association dues, and the association writes a single check to the bank. Having a TIC group mortgage is obviously much more risky than having individual TIC financing. If one owner fails to pay his/her dues and, as a result, the TIC owners association does not make its monthly payment to the bank, there could be a foreclosure and the whole group could lose their property. To protect against this risk, SACO TICs with shared mortgages typically have a large reserve fund. This risk of non-payment is real, but is commonly over-estimated. Although TICs with grop loans have been relatively common since the mid-1980s, and at least 3,000 of these groups have existed, we are not aware of any instances of foreclosure on a TIC group mortgage. How can the risks of tenancy in common group loans be managed? Obviously, a shared loan arrangement creates the risk that a co-tenant who has paid his/her share could nevertheless face foreclosure because another co-tenant failed to pay. Tenant in common groups typically manage this risk by (i) undertaking a complete investigation into the background and qualification of potential co-tenants before allowing them to join the group, (ii) requiring a similar evaluation each time a tenancy in common ownership interest is resold, (iii) making sure all payments on the shared loans are made form the group bank account (rather than directly from each owner to the lender), (iv) keeping reserve funds which can be used to make payments while a non-paying owner is sold out of the group, and (v) creating a powerful and efficient internal enforcement and foreclosure system. A less well understood risk of group tenancy in common loans is that the financing will complicate or prevent resale of tenancy in common shares. In most instances tenancies in common with group loans do not refinance the property when a single owner sells. Instead, the buyer will join the other owners as a borrower on the existing loan, and will assume the seller’s percentage of the outstanding loan balance under the tenancy in common agreement. To accommodate this arrangement, it is important that TIC group loans be assumable. Moreover, to minimize the fees and inconvenience sometimes associated with loan assumption, it is beneficial to obtain a loan that allows “partial assumption”, a substitution of a buying owner for a selling owner. When allowed, partial assumptions are generally much less expensive than full assumptions, and do not involve re-qualification by the entire owner group. Buyers entering into group loan, tenancies in common should consider the assumability of the loan to be its most important feature (more important than the interest rate or origination fee). Note that (i) loans with a fixed rate of interest for most or all of the loan term (such as a 30-year fixed rate) are rarely assumable and therefore not suitable as TIC group loans, and (ii) assumable loans are available in all markets and if you are being told otherwise you are being misinformed. If the tenancy in common interest being sold has dramatically appreciated in value, there will be a large difference between the sale price and the seller’s percentage of the outstanding loan balance. If the buyer does not have a large down payment, the seller will need to (i) accept some of the down payment as a note payable in the future and secured by the property, or (ii) arrange to refinance the property. To prevent resale problems, tenancy in common agreements must have detailed rules governing these processes. A TIC Agreement which requires a unanimous or majority vote to refinance is not a good idea because it may ultimately prevent resale, and owners often need to resell for unexpected reasons such as job change or loss, illness, divorce or death. A well-drafted TIC agreement balances the costs and risks of refinance by (i) limiting the amount of refinance proceeds each owner can take so that one owner cannot usurp another’s equity, (ii) requiring all owners to participate in the loan application process but imposing all of the costs of the new loan on the owner or owners receiving cash proceeds, and (iii) carefully allocating the financial burden created if the new loan is at a higher interest rate than the old one. With a TIC group loan, how is each owner’s payment determined? Each co-tenant’s group loan payment is determined by the amount of the group loan he/she is responsible to repay. When the TIC is first formed, each owner’s down payment is subtracted from his/her purchase price to determine how much of the group loan that owner is responsible to repay. The difference between a co-tenant’s purchase price and down payment, often called the co-tenant’s loan amount or loan share, is divided into the total amount of the group loan to determine the co-tenant’s loan percentage. The co-tenant’s loan percentage determines how much of the monthly payment on the group loan that co-tenant must pay. For example, imagine that Jane and Bill are buying a two unit building together for $1,000,000. Jane, who will have the right to live in the better unit, is paying $600,000 for her share, and Bill is paying $400,000 for his share. The $600,000/400,000 split of the price is based upon the relative value of the two units in the building. Bill, who has more savings than Jane but a lower salary, is making a down payment of 25% of his price ($100,000). Jane, who has little savings but a good job, is making a down payment of 10% of her price ($60,000). The TIC group loan amount will be $840,000 which is the difference between the $1,000,000 purchase price and the total down payment of $160,000 ($100,000 from Bill and $60,000 from Jane). Bill’s loan amount is $300,000 (400,000-100,000), and his loan percentage is 35.71% (300,000/840,000). Jane’s loan amount is $540,000 (600,000-60,000) ), and her loan percentage is 64.29% (540,000/840,000). If the monthly payment on the TIC group loan is $4,200, Bill will pay $1,500 and Jane will pay $2,700. Assuming each co-tenant pays exactly his/her share of the monthly group loan payment each month, the loan percentages will not need to be adjusted. The gradual decrease of the amount owed over time (due to loan amortization) will not affect the loan percentages. The loan shares will require adjustment only if a co-tenant decides to pay more than his/her regular monthly payment (perhaps to pay down his/her loan amount more quickly) or if the loan is refinanced. When loan percentages differ dramatically from ownership percentages, extra documentation should be used to provide additional security to the owner with substantially greater equity. What is TIC wraparound financing? In wraparound or all-inclusive tenancy in common financing, there is one or more underlying loan(s) that predate the tenancy in common formation, for which the prior owner/seller retains responsibility. Each TIC buyer obtains an individual loan from the prior owner/seller. The TIC owners each pay the seller who, in turn, pays the bank holding the underlying mortgage(s). This wraparound tenants in common financing structure has several advantages for all parties as compared to traditional group TIC loans. For the buyers, it eliminates the risk that one buyer’s mortgage default will blemish another buyer’s credit, or worse, cause another buyer to lose his/her home and investment. For the seller, it (i) diminishes the risk of carrying secondary financing by allowing the seller to make sure payments are current on the senior financing, (ii) allows the seller to charge an interest rate markup on the entire amount financed, and (iii) enables the seller to defer capital gains taxes using the installment sale method. Remember that the use of individual seller-wrapped financing does not circumvent the due-on-sale requirements in the underlying loan, so the seller must get the original lender’s permission for the sale. Also, the individual tenancy in common loans carried by the seller should not themselves be due on sale because that would make resale difficult; rather, each individual TIC loan should be assumable by a qualified buyer. How are TIC property taxes allocated? In most counties including San Francisco, the County Assessor will refuse to issue separate property tax assessments and bills for TIC owners because property owned as a TIC is not legally divided. As a result, the TIC building has a single assessed value and the co-tenant group will receive a single property tax. There are California counties (e.g. Sonoma and Plumas Counties) where TICs receive separate assessments and bills, and the matter has been considered by the S.F. Assessor. Where the TIC building receives a single property tax assessment and bill, it is necessary for the tenant in common owners or manager to allocate tax responsibility internally. The starting point for tax allocation should be the amount that each co-owner paid for his/her interest. When the property tax is increased as the result of the resale of a tenancy in common share, the buyer should pay the entirety of the increase. A resale by one co-tenant should never increase a non-selling co-tenant’s property tax burden. Similarly, when the owner of an entire property sells some tenancy in common shares but retains an ownership interest, his/her property tax allocation should be based on the pre-sale assessed value (meaning that the seller’s property tax actually decreases rather than increases after the sale). When property tax increases as the result of some non-sale-related activity by a co-tenant (such as an improvement), the entire increase should be paid by the co-tenant who triggered the increase. When property tax increases as the result of an increase in the applicable tax rate, or a reassessment unrelated the action of a particular co-tenant, the increase should be allocated according to the percentages derived from the previous purchase prices and improvements. How are expenses paid in a tenancy in common? Building expenses are divided into individual expense and group expenses. Individual expenses include maintenance and improvements to unit interiors, personal property insurance, and separately metered utilities; they are paid directly by the individual owners. Group expenses include building insurance, property taxes, maintenance and improvements to common areas, shared utilities like water and trash removal, and mortgage payments (when there is a group loan); these expenses are paid through a group bank account using a monthly assessment (aka HOA dues) system. Under this system, each owner makes a single monthly payment to the group account. The monthly payment is based upon the total of the owner’s share of each of the anticipated group expenses. To add predictability and protect against default, even semi-annual and annual expenses, like property taxes and insurance, should be included in the owners’ monthly homeowners dues. How are decisions made in a TIC? In small tenant in common groups, all decisions are made by owner vote. Typically, a distinction is made between day-to-day decisions made by a majority, and major items such as expensive non-emergency repairs or improvements, or changes in the allocation of usage right or expenses, made by unanimous vote. In larger tenant in common groups, it is impractical to convene an owner meeting each time a decision needs to be made, so routine operational matters are handled by elected boards or management committees. Major decisions require a majority, super-majority or unanimous vote of all owners depending on the nature and gravity of the issue. How are tenants in common properties managed? It is critical for the success of a tenancy in common that responsibility for each aspect of management be assigned to a particular person. In this context, informality (as in “we’ll all just pitch in” or “we’ll just work it out”) generally translates into inaction, resentment by the most conscientious or compulsive group member(s), and dispute. It is always advisable to have a formal structure for management built into the TIC agreement, even if you intend to ignore it and handle things informally. That way, if things do not go as planned, or the informal approach seems to be failing from the perspective of one or more co-tenants, the more formal structure is available as a “fall back” arrangement. Can a TIC owner sell his/her interest? Each cotenant can sell his/her tenancy in common interest at any time and, contrary to what many people unfamiliar with tenancies in common assume, TIC interests have been readily re-salable for the past 23 years. Sales of TIC interests involving group loans are typically subject to rights of first refusal and buyer approval to insure that the co-owners can vet prospective buyers and make sure they are qualified; these types of restrictions are rare today because most TICs have separate, individual loans, and the lenders who originate fractional TIC loans will not allow rights of refusal or rejection. Marketability is enhanced if, by resale time, the group has a track record of solving its problems and paying its bills, greatly decreasing the buyer’s risk. How do tenancies in common start? In many cases, tenancies in common start when a property seller or his/her Realtor makes an elective decision to market the property as tenant in common shares. This type of formation works best for when the seller or Realtor develop the tenancy in common structure and the TIC agreement before marketing (as discussed below), and each buyer is given the opportunity to review and approve the structure and the agreement before becoming committed to purchase. In other cases, a buyer or group of buyers creates the tenancy in common structure and the tenancy in common agreement. For example, an individual buyer might assemble a group of family or friends, use a qualified Realtor to locate a building, agree on the assignment of ownership percentages and units, and then work with an attorney with tenancy in common experience to create the TIC agreement. How would a seller or agent sell a building as a TIC? In the case of a building containing up to four units, the conversion to a SACO TIC marketing approach is generally fast, inexpensive and simple. The first step is to contact a qualified attorney to prepare tenancy in common documentation including a TIC Agreement. This can generally be completed in 1-3 weeks at a cost of around $1,500. As soon as the documents are prepared, TIC marketing can begin. In the case of a larger building, many states require some form of regulatory approval. For example, in California, a “Public Report” from the California Department of Real Estate (DRE) is required before marketing can begin on a building containing five or more units (assuming at least one of the units is residential). The first step in getting a tenancy in common Public Report is assembling and submitting an application. The application material comes from four sources: (i) an attorney who prepares the legal documents, (ii) a budget preparer, who prepares a budget for the TIC group, (iii) a land surveyor, who prepares a drawing showing the unit perimeters and assigned areas such as parking, storage and decks, and (iv) a title company subdivision specialist, who prepares various DRE application forms. The cost of assembling this application varies depending on the professionals employed, but a general rule of thumb is about $20,000 including all professional and governmental fees (of which about $4,500 is attorney fees). After a package containing all of the required material is assembled, it is submitted to DRE for review. This review process generally takes about 4-6 months and may involve several rounds of document revisions and responses to DRE inquiries. A seller and his/her real estate agent cannot advertise, show, enter into a contract to sell, or close a sale until after issuance. There is a narrow exception to this general rule that applies when a seller obtains a Preliminary Public Report (also sometimes referred to as a “Pink Report”), which allows the seller to advertise, show, accept non-binding reservations, and take refundable deposits. The Pink Report can be obtained in about two weeks at an additional cost of $500, but there is considerable debate in the real estate community about whether marketing under a Pink Report is advantageous. For more information, please see the articles in the section of our website entitled TIC Guidance For Sellers and Their Realtors. Why would an owner or Realtor choose a tenants in common (TIC) marketing approach? Owners of have increasingly turned to tenancies in common as a way of maximizing the value of their investments. Marketing as a SACO tenancy in common often results in the quickest sale and the highest price because (i) sale prices have increased much more quickly than rents in many communities, and (ii) there are far more single-unit buyers than investors in the marketplace. TICs also offer the flexibility of selling less than the entire property. This allows the owner to gradually replace tenants with TIC owners as units become vacant and to diversify his/her real estate portfolio, while still maintaining an interest in the building. Why would an owner or Realtor selling an entire property obtain a tenancy in common agreement? Why not let the buyers get their own TIC Agreement? Accepting individual offers on the tenant in common shares is virtually impossible without having a shared ownership agreement in place. Since the property has not been subdivided, the owner cannot legally accept offers on particular units or houses. Each individual purchase contract needs to describe what is being purchased as a percentage of the entire property. The structure created by the TIC agreement is necessary to avoid the uncertainty and risk that would otherwise be associated with a series of purchase contracts for percentages of the building. The need for a pre-marketing TIC agreement is the same regardless of whether the owner plans to allow individual TIC sales to close separately or insists that the entire property be sold at once. Is it possible to sell tenancy in common shares in one at a time? The practice of selling tenants in common shares one at a time is not only possible, it has become very common in recent years, and is used both by sellers who are interested in selling an entire property as quickly as possible, and by sellers who only wish to sell shares as rental tenants vacate. For the former, this approach eliminates the risk that Buyer #1 will be lost before Buyer #4 is ready to close. For the latter, this approach allows an owner to get the maximum sale price for his/her building without evicting any tenants, and enables the owner to keep a stake in the building while simultaneously diminishing carrying costs and management responsibilities. The downside of selling the TIC interests one at a time is that the owner must share control with others and rely on their financial strength. But many owners are realizing that they already share control of the building with their tenants and rely on their tenants’ incomes. Unlike co-owners, these tenants have no investment in the building and everything to gain from fighting with the owner. The reality may be that while having co-owners is risky, having tenants is much, much riskier. Can a seller put the proceeds of a tenancy in common share sale in a 1031 tax-deferred exchange? Each tenants in common share sale can be treated as a separate transaction for the purpose of calculating capital gains tax, and the proceeds from each can be placed in a 1031 tax-deferred exchange. Alternatively, several TIC sales can be grouped together for exchange purposes provided they occur at the same time or within a relatively short period. But if you provide seller financing for the sale, the amount of this financing will be considered taxable boot unless you take precautionary measures. If such measures would be impractical under your financial circumstances, you can often achieve a favorable tax result by using installment sale tax treatment. Another alternative to a 1031 tax-deferred exchange might be a private annuity trust or “PAT”. Consult you tax or financial advisor for further information on these issues. What are the buyer’s steps in a tenancy in common purchase? A prospective tenancy in common buyer should always evaluate the financial strength of the other group members, even where the TIC will not involve shared financing. If a TIC agreement has already been prepared, the buyer should retain an experienced tenancy in common attorney to review the agreement and to raise and explain the many important issues associated with group ownership. If no tenancy in common agreement exists, the most efficient and economical approach to creating one is for the entire group to retain a single attorney to prepare a TIC agreement that is specifically tailored to property and the group’s needs. Each participant may then have the draft agreement reviewed by his or her own attorney and accountant, and bring the comments of these outside experts before the group for discussion and further revision of the agreement. For more information, please see the articles in the section of our website entitled TIC Essentials For Buyers and Their Realtors. Does a SACO tenancy in common (TIC) provide the same tax benefits as other real estate? Owner-occupants may deduct their mortgage interest and property taxes, and often may avoid capital gains tax on resale. Owner-investors declare their income and expenses, including depreciation, and may undertake a tax-deferred exchange. Are tenancies in common risky? All co-ownership forms (TICs, condominiums, cooperatives, partnerships, etc.) involve greater risk than owning individually. These risks need to be carefully evaluated, then weighed against the benefits of co-ownership such as lower acquisition cost and lower ongoing maintenance and management burdens. Most tenancy in common buyers are interested in comparing the risks of tenancy in common ownership to the risks of condominium ownership. In making this comparison, it is important to note that condominium ownership involves many of the same risks as TIC ownership, including those created by shared obligations such as common area maintenance and insurance, those created by the need for joint management and decision making, and those created by living with other co-owners in close proximity (noise, pets, parking, alterations etc.). The most significant additional risks associated with tenancy in common ownership are (i) larger shared obligations such as property tax and (in some cases) group loans, (ii) greater complexity and cost in resale and refinancing, and (iii) reliance on an unrecorded co-ownership agreement. SirkinLaw APC was a pioneer in the area of tenants in common (TIC) arrangements involving occupancy rights assignments, which are often used as a substitute for subdividing a property when true subdivision is impossible or unduly expensive. In 1985, Andy Sirkin created the legal and transactional structure which has become the industry standard for this type of TIC. Over the succeeding years, Andy’s innovations have included being the first state-approved real estate instructor for occupancy-based TICs, being the first to obtain state approval for a large-building TIC sale, being the first to convince institutional lenders to offer individual TIC financing, and being the first to develop the loan documents and lender underwriting guidelines for fractional TIC financing. 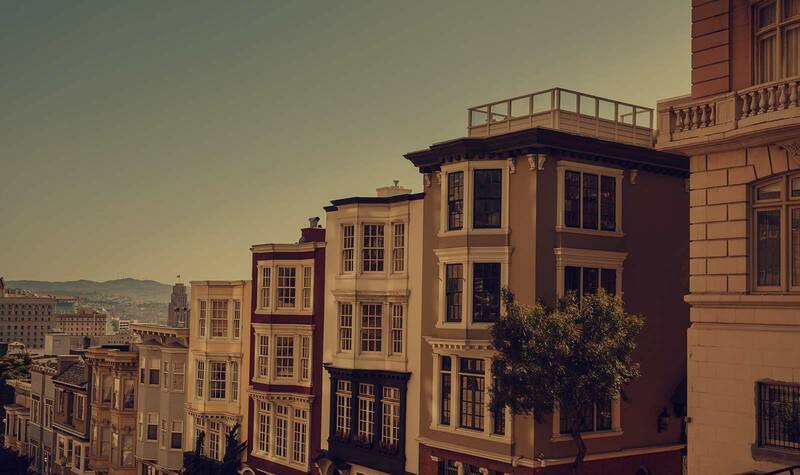 In recent years, the type of co-ownership arrangement Andy conceived nearly 30 years ago has grown to sometimes comprise approximately 1/3 of all attached-home sales in San Francisco. SirkinLaw APC has prepared close to 5,000 occupancy-based TIC agreements for properties of every size and type, and continues to assist in the vast majority of these transactions in California. This unmatched level of experience allows us to offer time-tested approaches for the vast majority of co-ownership situations, to quickly and effectively solve problems, and to produce documents that are clear, easy to navigate and read, and efficient and cost-effective to enforce. We continue to improve our documents each month as we encounter new situations and learn more about what TIC arrangements perform best in the real world. We also share our accumulated knowledge, and support real estate professionals and the TIC community, by continuously publishing new articles on our website and offering free educational workshops. Our tenancy in common practice involves general advice and counseling, TIC agreement preparation, loan documents, and ongoing consultation to developers, seller, Realtors and TIC owners, on either a flat fee or hourly basis. We have a well-deserved reputation for returning calls promptly and providing fast turnaround times. But more important, we are known for finding creative solutions, calming fears, and finding common ground, so that transactions and relationships work. Although our role usually begins at the time the tenancy in common is first formed or sold, we are committed to remaining available to solve problems throughout the life of each TIC. Contact us via our contact form.